” DA-DA-DA-DAA! DA-DA-DAAAA! Ah yes, fond memories indeed. If you’re anything like us, the above intro was the most exciting part of Saturday night for many happy years. 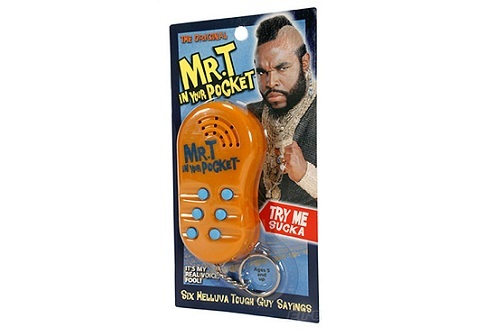 The A-Team was one of the greatest ever TV shows and Mr T was a genuine, 24 carat 80′s icon. Price: $10.90 & eligible for FREE Shipping on orders over $25.